Yesterday wasn’t all about phones for Microsoft. After the main Windows Phone 7 event, Microsoft showed off its full holiday lineup—including as you’d very much expect, Kinect and all the new Xbox 360 media features announced along side it back in June. 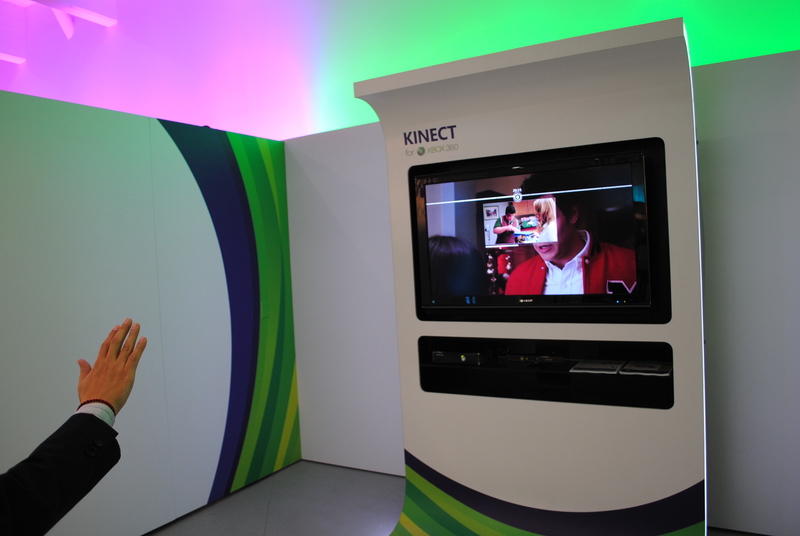 Let me just say this right now– Kinect is AMAZING. Alright, so back to the first look. 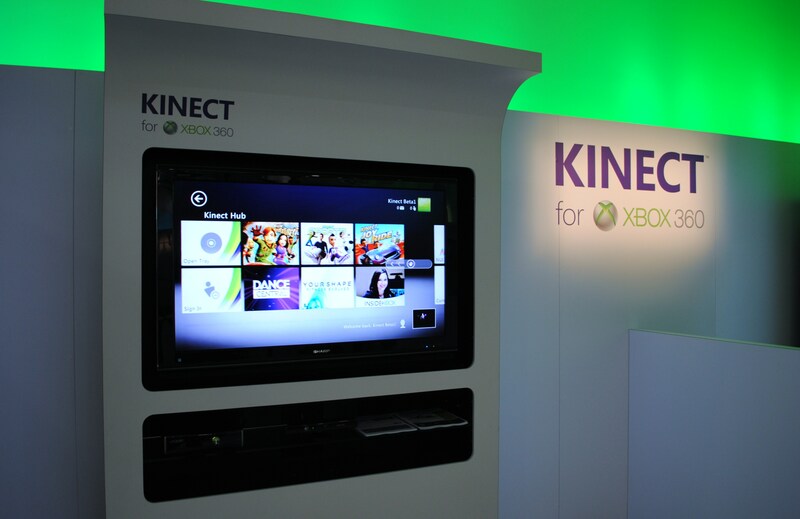 Let’s start with controlling the Xbox using Kinect. While it will initially will take a few minutes to get used to, I found controlling Kinect to be not only very intuitive, but really fun as well. Navigating menus, controlling videos and switching between apps all went smoothly and easily. There are even gestures such as holding your arm down at a 45 degree angle (like waving “hi” to someone just with no waving and your hand facing down not up) to pull up the Xbox menu no matter what you are doing (pretty much the same as the big Xbox button in the middle of the current controller). Since the area we were in was fairly noisy we couldn’t test out the voice features yesterday in person, so you’ll have to wait until our full review for that. The new Dashboard comes not only with that new look (as seen in the second pic of the post– click on it for full size), but also a whole bunch of improvements to current 360 apps like the Zune Marketplace (including Zune Pass music streaming– though not yet in games, and movie/ TV show streaming) and Netflix (which finally has the ability to search for movies right on your Xbox), as well as the new ESPN channel to make the media side of the Xbox even more enjoyable. ESPN for example, includes not only full ESPN 3 access (for watching live games not broadcast on normal ESPN or ESPN 2—this will work even if your internet provider hasn’t yet signed up for ESPN 3), but also a live feed of regular ESPN. And if you have a good enough internet connection, it will stream in HD! All of this seemed to work just as it should and as we said above, adds even more value to the 360 as the center of your TV experience. So here is where we came in the most skeptical and came away the most impressed. We tried two Kinect games out– a Kinect Adventures game where you navigate a raft to try to collect points by hitting coins and Kinect Sports volleyball. Both were not only completely engaging, but also really fun. In volleyball for example, you have to make the motions of actions like serving, hitting the ball up and jumping to spike. Sure waving your arms in front of a TV in random ways did feel pretty weird the first time around, but after a few minutes you forget that feeling and begin to just enjoy the game. And all the games are Xbox Live capable, so you and people around the globe will be doing the same things in front of their TVs. Oh, and hard-core gamers, you’re gonna like this– Kinect is not meant to completely replace the beloved button controller. In fact, the Microsoft rep we met with told us that it is also meant to COMPLEMENT it. The example given to us was of using the traditional controller in a shooter game to do normal actions like shooting (sorry, it doesn’t look like you’ll be standing in front of the TV with your fingers pointed like a gun) and have Kinect come in to help “kick” down a door or “look” around a corner (something we were told we can expect at some point next year). Yeah, pretty cool. 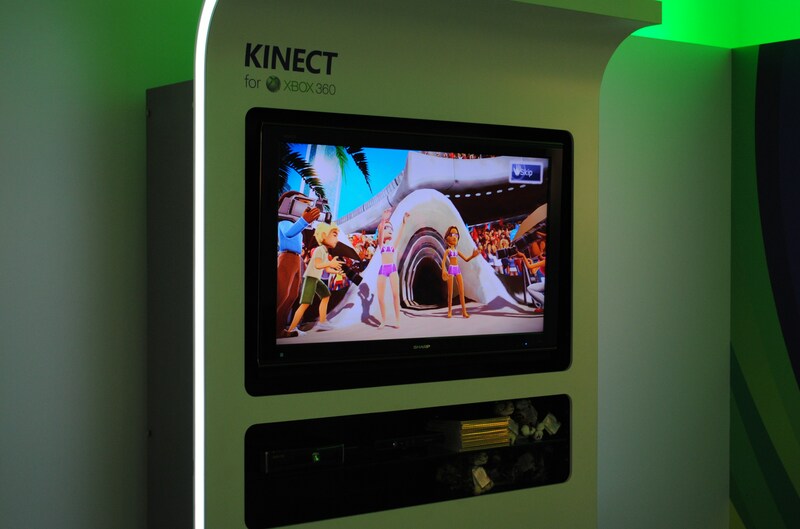 Now the Kinect experience did leave me wondering how it will work at, a party or when you have a few friends over. For example, it’s really easy for someone to come interrupt a game by using one of the Xbox voice commands or making a gesture like the one to pause and pull up the menu. You also need to be ideally 6-8 feet away from the TV for Kinect to work, which will make having a bunch of people playing at once pretty hard. All in all though, Kinect, like Windows Phone 7, has a ton of potential to really change how we play video games in a way that goes above and beyond anything we’ve seen so far from the Wii or PlayStation Move. 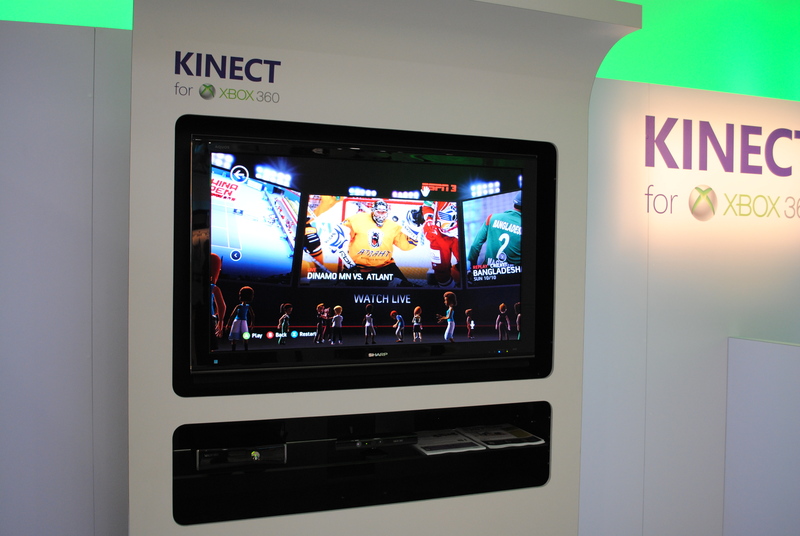 We’ll have more on Kinect as we come closer the November 4th launch, and you can pre-order Kinect today for $149.99. Posted on October 12, 2010, in First Look/Reviews, Microsoft, Video Games and tagged espn, first look, kinect, Microsoft, microsoft open house, teen first look, Video Games, xbox 360. Bookmark the permalink. 1 Comment.